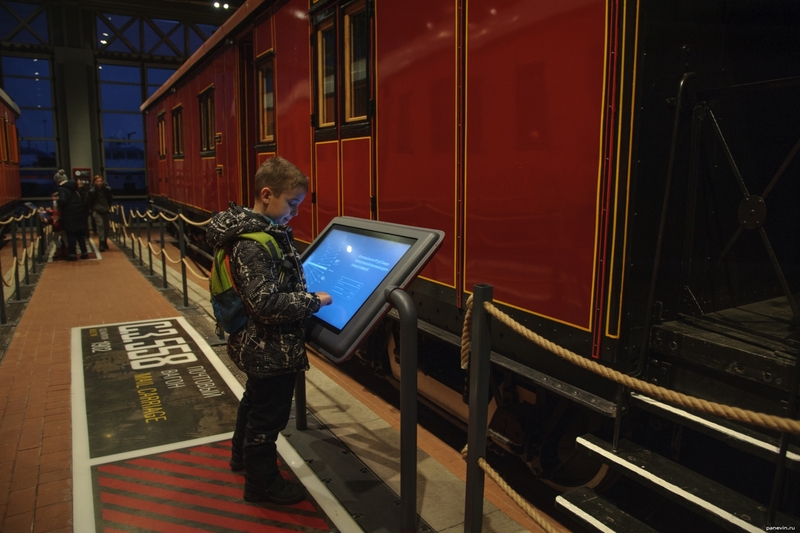 In museum of Russian railroad at each exhibit touch screens with total описаловом ТТХ and stories of the concrete car / a steam locomotive / a diesel locomotive / electric trains are established. Vagon on a photo — СЗ.558 1902 year of construction. Blog, posts children, museum of Russian railroad, museums, St.-Petersburg.